Earthtone bass drumheads are perfect for deep low tones. Made with genuine calfskin, they create a booming organic sound perfect for recording or playing live. 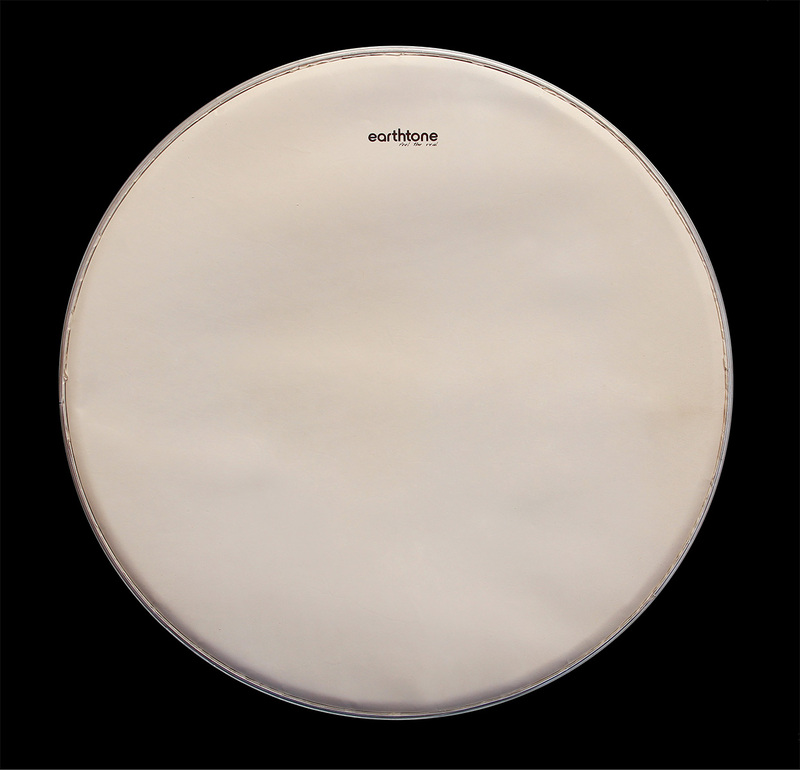 Unlike vintage calfskin drumheads, Earthtone's are mounted on an aluminum hoop for easy installation. The skin is tanned and treated to help control fluctuations in tuning. After the head settles, it requires the same amount of tuning as a standard Mylar head. The bass drums have an inside dimension of their size plus 1/8". The thickness ranges from 17-27 mils. Sizes 20"-24" have a traditional bass drum hoop. Our 18" heads are primarily used for toms, but with a slightly larger hoop, can certainly be mounted on a bass drum.